The whole experience was different than anything Norman had participated in before. The spotter was outside the car giving directions via Bluetooth headsets. There are many controls not found in a trophy truck including a transfer case for controlling front wheel and rear wheel drive, front and rear air lockers and cutting brakes. The front and rear winches are not for pulling you out of a bad situation, but rather connected to axle housings used for sucking in the suspension to account for different angles. 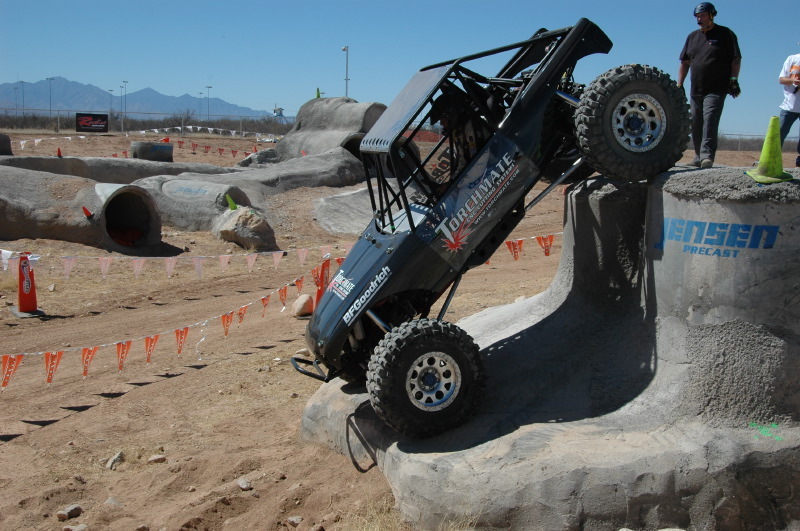 TheBFGoodrich Krawlers had amazing traction, strength and stability on the man made course. Competitors complete four courses on Saturday and four on Sunday, and then enter a shootout on Sunday afternoon that can change the entire outcome of the event. With each course timed, Norman only completed one of the four courses on Saturday. Come Sunday, he successfully turned that ratio around to completing three out of the four courses, with one tied for the best score of the day. 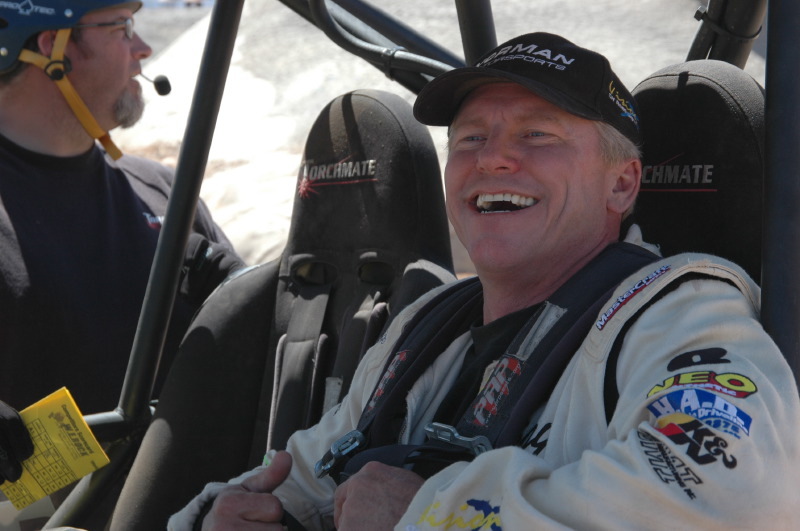 Roger Norman will be competing in the complete 2011 W.E. Rock West Series with the Torchmate Racing Team. The next event will be in Oroville, California at Surplus City May 6-8. The third round will be at the Miller Motorsports Park in Salt Lake City, UT the weekend of June 10-12, and the final competition round will be August 5-7at Donner Ski Resort in the Sierra Nevadas.